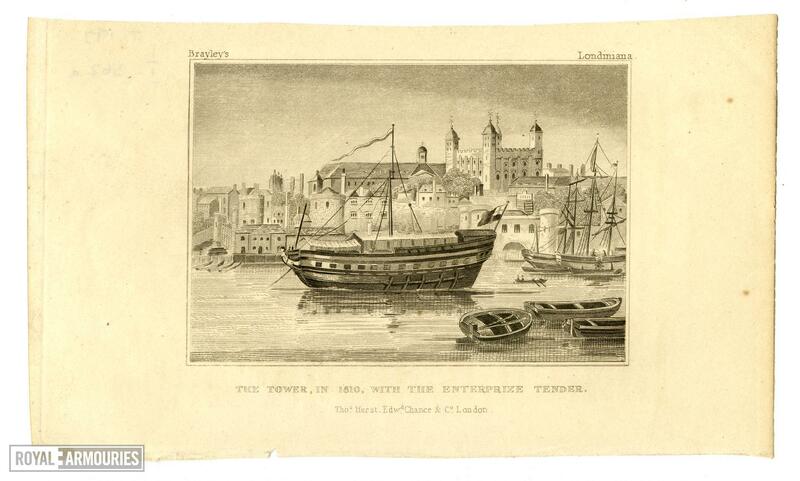 Steel engraving of the Tower in 1810, with the 'Enterprize tender'. Engraved by J. Varley. 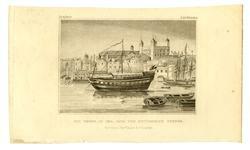 Published as plate 7 of E. W. Brayley, 'Londiniana', (London, 1828).